I've said it before and I'll say it again... I love the graphics you make! Nice! I can't wait. I'm really familiar with the area, so it will be interesting to see what you cover! Also, I have to agree with Retail Retell on this one... your graphics are the best. Are you in the Graphic Design field? As you can see from the map, I'm going to be focusing on the smaller stores (very few big-brand supermarkets). There are far more of them than the chain stores here. And while I'm still a student at this point, graphics will probably be my field. I saw the map, and I have to admit, you made some fine choices. Also, you're still a student? The things you're doing are pretty advanced... I would show some examples of my actual design work, but it would blow my cover/identity. Thanks! I generally try to cover stores that aren't being covered by other blogs, like yours and Acme Style, which tend to focus on the bigger supermarkets (obviously, given that the topics are A&P and Acme, respectively). I hope there's people out there who are interested in the independent stores. And thanks again...I can tell from some of the graphics you have for P's and Q's you're doing some nice designs too. Haha, maybe I should follow that rule for using your pictures... I always find a good store, and find out a minute later you already have a post for it. I'm actually interested in independent grocers, and I think everyone should be. There's a lot of history behind every single one, even if it's the same owner. My P's and Q's graphics I'm trying to improve on, I slapped them together in all of five minutes... I'm playing with the blog themes and fonts right now. I'm kind of crazy...I have literally dozens of stores I've photographed but haven't posted yet. At three posts a week, I already have enough material to last through next March! I agree entirely about the independent grocers. And this is really the only area of the country where the independent grocers drastically overwhelm the big chains, especially in store count. 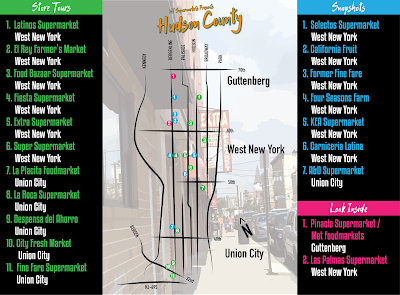 Think of New York City--virtually every supermarket is a member of a cooperative, a local chain, or an independent store. I'm just wondering if you're gonna cover the FineFare in Jersey City that used to be an Acme. Cool! Looking forward to the coverage. I've been to this area a few times visiting family, but never spent much time in this part of the county. Like everyone else said, your map is really cool too! This is an area that tends to be overlooked. There isn't as much public transportation from Union City to NYC as for instance Jersey City to NYC, so it's not big with commuters. 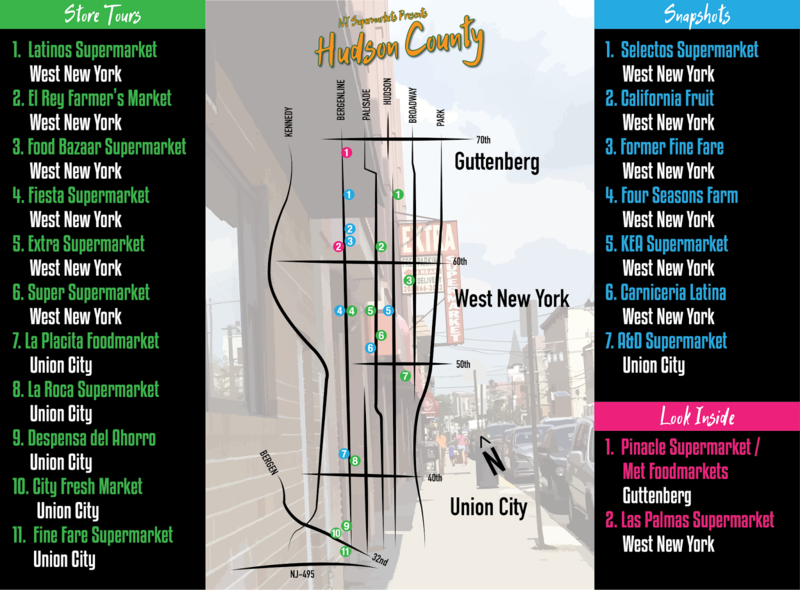 If you've ever taken the Lincoln Tunnel into Manhattan, you've driven straight through Union City on NJ-495. But there are some real neighborhoods where people actually live, work, and shop immediately around 495. I've been through here on 495 a few times going to/from the Lincoln Tunnel, and one time we went into Union City itself after getting lost trying to find our way to Route 3. I wish I could have spent more time exploring this area! Haven't heard that joke about the West New York Acme but they may need to bump the distance up to a foot. The past few times I've been in the Acme, it's been busier than I've ever seen it before. The last time I was there I was shocked at the amount of people with carts full of groceries. The store is usually used as giant convenience store. I actually have a few friends in the area that shop there exclusively. (I would go there more often if the produce was more reliable). Food Bazaar definitely excels in the selection of ethic foods which are in high demand in this area. Their prices however, aside from sales and specials, are far higher than Acme. I've found myself sticker shocked in the new North Bergen store during my last few visits. The store is definitely drawing less shoppers than it used to now that the newness has worn off. Still a great store for cherry picking and finding items that aren't available at Acme or ShopRite. And I give the décor an absolute A+ !!! Looking forward to your coverage of the area! It's great that WNY Acme is succeeding. With Food Bazaar and Acme, I think they're two stores that can coexist in this area. Food Bazaar's general grocery prices can be quite high, but they do still have better produce than Acme (and ShopRite, most of the time). I don't know if you've ever been to the WNY Food Bazaar, but it's much smaller and less upscale--more of a traditional inner-city supermarket. Very different from the Acme, and with a totally different target market. Thanks! In general, I'm trying to cover stores that aren't covered by other blogs and websites. I think I know what your 'Grand Finale' is... does it have something to do with ShopRite? Actually, no. But now I'm intrigued--what were you thinking of? The birthplace of ShopRite? 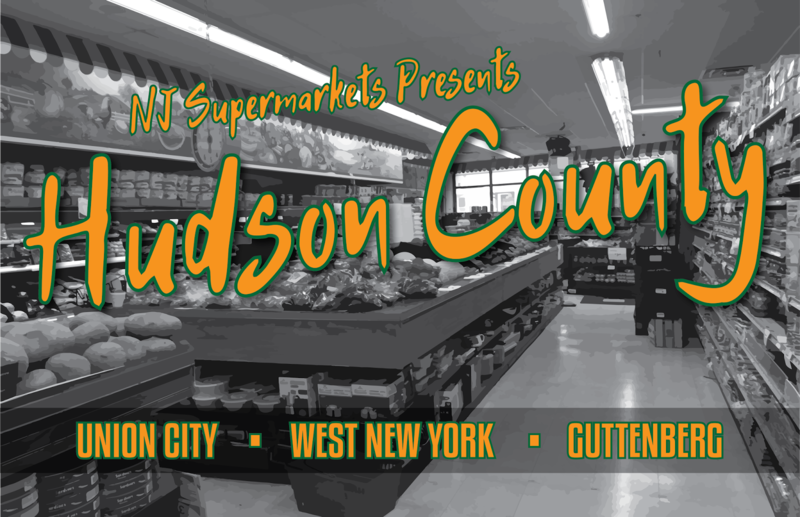 The creators were in Hudson County at the time, actually. It's funny, because it's another thing about my grandfather-- he was actually another person who was given the opportunity to start Wakefern in 1946, but he didn't have the money for it. But wasn't the first store to use the Shop-Rite name the Uniondale store in Union, NJ? I'm not sure, but I thought I remembered reading that. Interesting! I know someone whose grandfather was an early business partner (in a produce business) of one of the original Wakefern guys, but she wasn't sure which one. Not as impressive as your grandfather! Scratch that... Wakefern I meant. I don't know why I said ShopRite... and wasn't it in Elizabeth? I'm kinda fuzzy on ShopRite's history. Wow, really? Huh, neat. My grandmother had always said to my grandfather that not getting a loan for the Wakefern opportunity was one of the biggest mistakes ever... even though SHE was a miser. I'll tell you right now, if I was a direct descendant of a Wakefern owner, I'd probably be pretty high up in the corporate level there!